The tobacco growing season is not very long in Hungary, and extreme weather situations can be occured. At the same time the yield is endangered by a great number of pests and pathogens during the vegetation period. Among all of these the most important one is potato virus Y, which – in case of heavy infection – even can destroy the crop. Considering all of these, only varieties with earlier maturity time, drought tolerance and resistance to potato virus Y can be produced in Hungary. Our varieties (burley and flue-cured) have a common characteristic of carrying a resistance to PVY, being relatively early maturing, tolerating weather extremities, so they fulfill the requirements of safe production and their quality is accepted as well. Proving the success of our work, mainly Hungarian varieties have been produced in Hungary for the last two decades, apart from a variety trials of a limited scale. 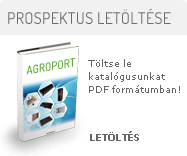 On the grounds of our experience, our varieties are suitable for growing on areas with similar or better conditions, which is shown that our varieies are grown successfully in the surrounding countries of Hungary.